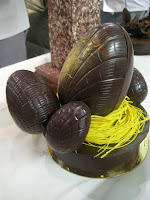 From before the chocolate exam, wow, I was frustrated! Yesterday was our last conference - the session where the chef usually reads an essay on the production of flour, sugar or chocolate, which we hold an exact translation for in our notebooks. 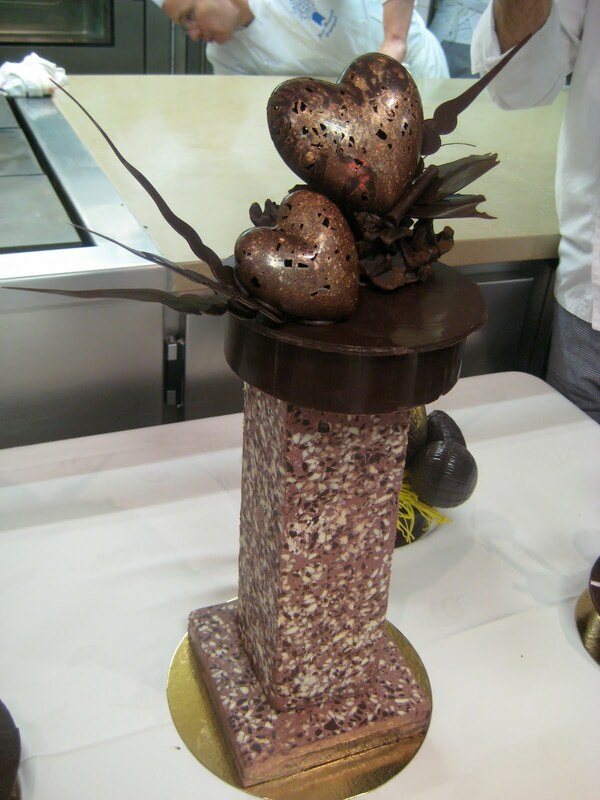 Instead, Chef D asked us a few questions about tartaric acid, and other chemicals using in pastry, and got to work on a chocolate vase in preparation for his chocolate showpiece on Friday. He asked us if we wanted to see his "Bible" and of course we begged, and he brought out a beautiful book by Stephane Leroux, it is only $439.93. Chef D said he kept it on his bedside table for a year. It is beautiful, and the techniques are innovative - chopping different chocolates in the food processor and gluing them together with cocoa butter grout to make a granite vase. 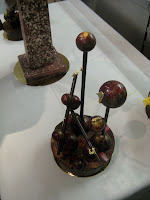 I was a little shocked to see the showpieces that the chefs have made in the professional sessions (like pastry graduate school), I thought they had designed them, but they are just copies. I have to admit that I was disappointed, later the chef did Stephane credit for the granite idea. I have been trying so hard to think of an original idea for my chocolate box, of course I have looked on the internet and in books for inspiration, but I wouldn't copy someone's idea exactly. It just irritates me. I bought the book at the best culinary bookstore - Le Library Gourmand, near Les Halles, and the cooking supply stores. It was 150 euros, but worth every penny. 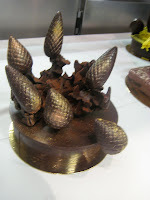 I did use it as inspiration for my chocolate exam, but I promise, I didn't copy it. Here are the chocolate boxes that the chef made.